How will you transform extension in 2018? Happy New Year! This is the time of year when we look back at the previous year and take stock of our accomplishments and the obstacles we each faced, many of those challenges we face every year. With the new year comes the renewed hope that we will overcome those challenges. I have those hopes for agricultural extension. While there is a renewed emphasis on extension in many countries, there are persistent challenges that remain. We still are not reaching women farmers in the numbers we should, there are issues with adequate transportation and infrastructure, extension workers lack training in information and communication technologies and many work in isolation from other key extension providers. When daily facing these problems, the challenges can seem daunting, but they don’t have to be if we face them together. 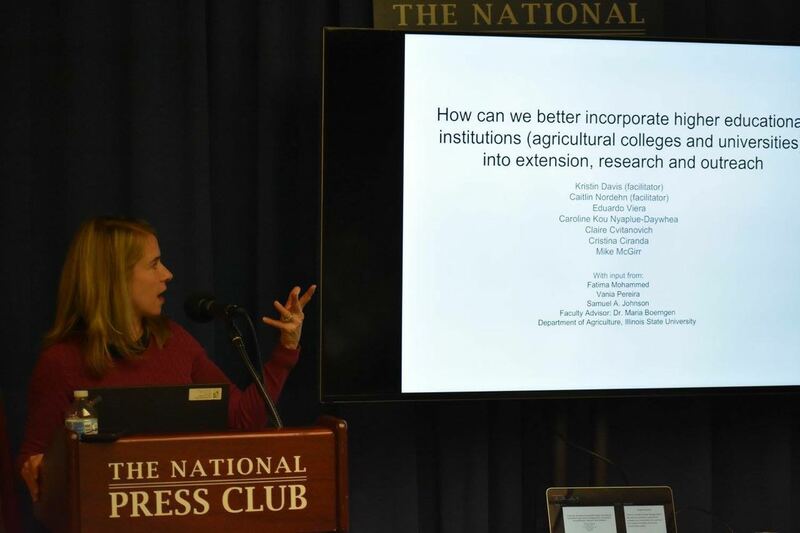 At the end of 2017, DLEC and INGENAES held the Revitalizing Extension for Agricultural Development event in Washington D.C., where we challenged participants to address some of the challenges those of us who work in extension faced and begin figuring out the next steps to overcoming them. 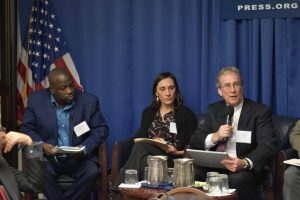 We looked at increasing access to producer organization services among marginalized populations; better incorporating higher educational institutions into extension, research and outreach; linking research, extension and farmers; maximizing the use of effective and context-specific digital technologies for farmers; and empowering equality through extension and advisory services. Our participants were key agricultural development stakeholders from governments, donors, researchers and private and civil society practitioners. They came from Bangladesh, India, Liberia, Kenya, Uganda and USA. In addition, we conducted video interviews with extension workers from several countries to ensure we had voices from the field to help ground our discussions. 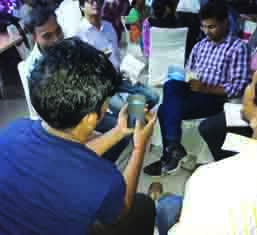 The challenges to extension exercise were conducted in a day, so as you imagine, we did not resolve any of the issues, but, most importantly, we began the conversation. We took the first step in the journey to overcome these challenges. In the coming months, we will continue these conversations on the DLEC Community of Practice online forum with debates and discussions, blogs and webinars. The first webinar will be at the end of January looking at how market-oriented extension models can be more inclusive of women. This community of practice is meant to be a place where we all can share and learn from each other’s successes and lessons learned. I invite you to join the conversation and share the lessons you have learned, enabling all of us to transform extension, so we can reach the all the farmers with information, tools and services that help them succeed. Though we all do not work directly with farmers every day, we can make a significant impact if we are willing to work with each other. So, I ask you again, how will you transform extension in 2018? 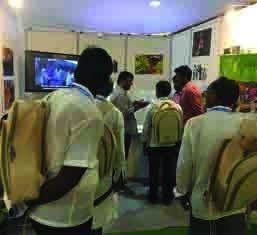 This post was first published on dlec.hivebrite.com. The Feed the Future Developing Local Extension Capacity (DLEC) project measurably improves extension programs, policies and services by creating locally-tailored, partnership-based solutions and by mobilizing active communities of practice to advocate for scaling proven approaches. 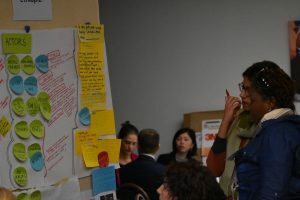 Led by Digital Green in partnership with Care International, the International Food Policy Research Institute (IFPRI) and the Global Forum for Rural Advisory Services (GFRAS), DLEC is an action-oriented, evidence-based learning project. Great job. Digital Green is helping women to be more successful is very creditable. This is so essential for the farmer women. Our colleague shares some of the lessons learnt from the field over the last couple of years as a program manager. 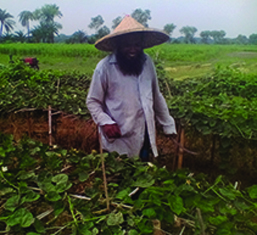 An unpredictable summer storm in southwest Bangladesh last April caused many farmers, like Abdul Mannan, to make some tough decisions. 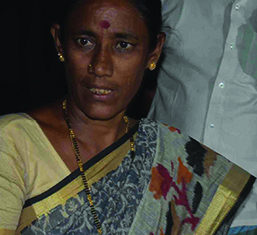 Vijay Lakshmi, a smallholder farmer, shares her farming success made possible by videos.